Kaiju News | Everything Kaiju: Gipsy Danger and Otachi get Illustrated and Stuffed! 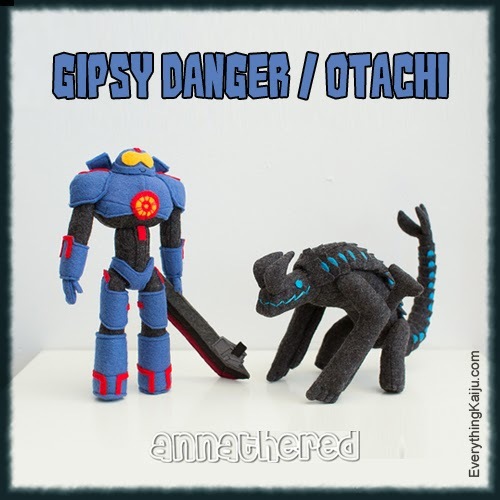 Gipsy Danger and Otachi get Illustrated and Stuffed! 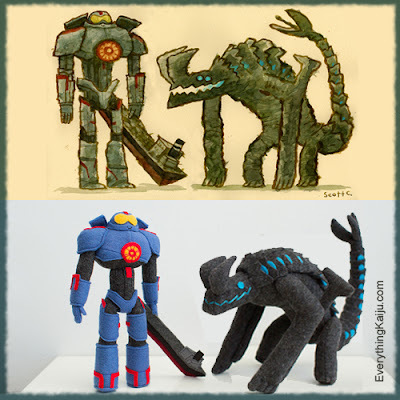 Unfortunately these plush Pacific rim inspirations are not for sale. They will be auctioned off at the donation site Desert Bus. 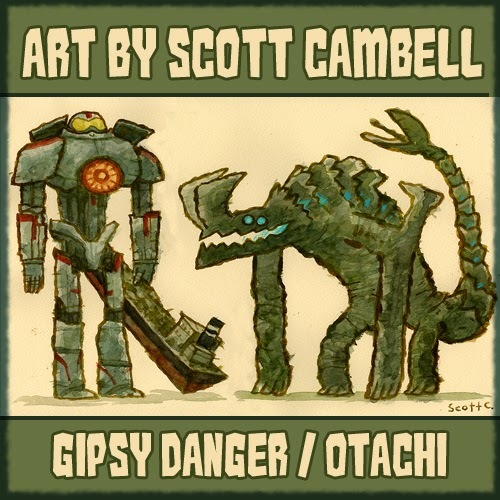 Auctions starts at 7:30 PM PST tonight (November 16th 2013). Desert Bus is actually a mini-game from the never-released Sega CD game Penn & Teller's Smoke and Mirrors. Challenging the player to drive a listing, unreliable, virtual bus on an endless, eight-hour-long strip of highway between Tucson, Arizona, and Las Vegas, Nevada, it is widely regarded to be the worst video game ever made. We play it for as long as donations come in. In order to keep things interesting for our viewers we have live and silent auctions, giveaways and contests, celebrity guests and a lot of silliness. You can get all the creative details at Anna The Red's Website where she descripbes how she cam up with the idea and why she donated it to desert Bus. She has a lot more photos with incredible details. The giant boat actually attaches to Gipsy Danger's hand with a snap!